This two-day (July 29 & 30) workshop at Tower Hill Botanic Garden in Boylston will focus on making science writing an reality in your classroom. From formal essays to oral presentations, debates, and science conversations, STEM controversies provide exciting springboards for objective writing and evidence-based discussion. In addition to Common Core writing styles and academic language, we will investigate ways to document lab investigations, including abstracts, narrative methodologies, logbooks, and symposia, We will craft writing prompts so that they are ready to implement in your classroom, including reading packets for the upcoming PARCC assessments. Participants will also develop original MCAS-style open response questions ready to use as journal prompts, class starters, or formative assessments. Join us for this intensive, two-day workshop on science writing for middle and high school teachers. While New Hampshire does not have an official statewide science fair, organizers in the state are still finding ways to encourage and showcase students with interests in STEM. Taking place at Concord's New Hampshire Technical Institute in late March, the 11th annual New Hampshire Science and Engineering Exposition drew students from 16 schools. Sixty seven projects were presented alongside 11 challenge events, evaluated by 59 judges, who represented a mix of teachers and STEM industry professionals. As this event grows each year, there is hope that it will gain enough traction to be recognized by the Intel International Science and Engineering Fair. Diversity of topical representation for judges remains a concern, as most of the STEM professionals were engineers, leaving gaps in judging knowledge for biological sciences for example. The National Science Foundation has made available a nifty new app to help bring science imagery into the classroom. Called Science360, this free iPad (only it seems, at least at present) app collates images, videos, and news from a variety of sources. A fantastic new tool for educators, it could be a real time-saver in the search for material to bring into the classroom. 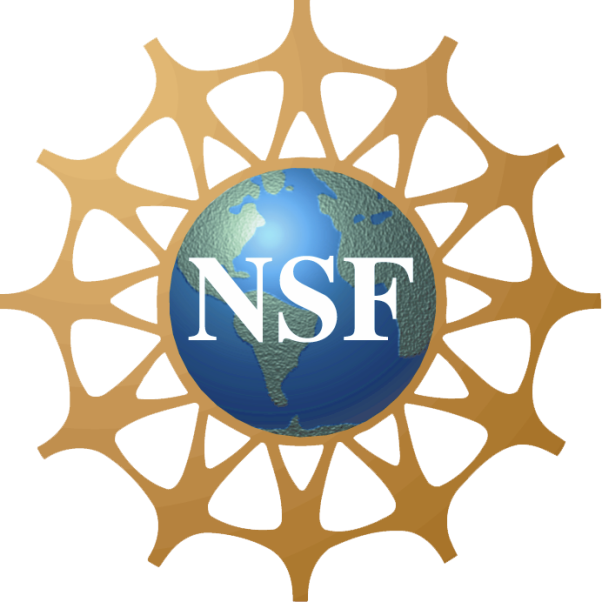 New content is added weekly -- sources from the NSF, as well as scientists, secondary institutions, and NSF centers of science and engineering. It also features an ongoing news feed for new and breaking stories. The app is designed to allow for easy sharing of content on social media outlets, further expanding its reach. Perhaps best of all is that the app is completely free! Marking a tremendous increase in interest and participation in STEM education, early March saw a very successful regional science air at the Bartlett Community Partnership School in Lowell. With assistance and support from Middlesex Community College Service Learning students, the 100 middle school students taking part in the first Lowell’s first Middle School District Science & Engineering Fair presented more than 60 projects. A new partnership between Lowell and Middlesex Community College provides both support and encouragement for school age students, and opportunities for Service Learning track college students to gain experience in helping to develop the next generation of STEM students and professionals. The collaboration has led to the creation of a STEM club, and short term curricula for encouraging 5th and 6th grade students to examine the impact of science on global and local health as well as other topics. Presenting 142 projects conceived and executed by 400 scientists, Brockton High School recently marked its annual science fair. Running the gamut from baked ice cream to measuring air quality and composition around the school itself, the projects were diverse and impressive. Under the dedicated support of science fair coordinators Suzanne Heenan and Kaylee DeGrace who helped students and science faculty with support and resources, the fair was considered a great success. Some of the winning projects presented moved on to the regional science fair at Bridgewater State University. We are very impressed with the caliber of work being done by these students, and we wish them every success in all of their ventures! Trilogy Publications is adding to its series of "Those Amazing..." books which are designed to present real-world projects and examples to upper elementary through high school age kids. The most recent, and third, title is "Those Amazing Builders." All written by Charlotte Forbes, this book follows "Those Amazing Scientists" and "Those Amazing Engineers." The issue of lack of qualified STEM workers is, by now, well known. What are some of the innovations being employed to help correct this? A physics professor at North Carolina State University in Raleigh, Bob Beichner, has completely changed up his classroom by "flipping" it. He felt that the plethora of videos and information on the internet made lecturing a moot exercise, so in his classroom, students are focused on practical, hands-on work and problems. He has gone so far as to test different sizes of tables, to determine the optimal size for work space and communication (the answer: 7' round). Students, working in teams, are further motivated by contracts within those teams by which they can remove less productive classmates (who then have to do all of their work by phone; apparently this has only happened a handful of times).